In a Nutshell: Consumers and small business owners who find themselves overwhelmed by debt often have few appealing options. But while bankruptcy and consumer credit counseling can take financial control out of their hands, negotiated debt settlement is an option that provides much more flexibility. Donaldson Williams is a family-owned debt settlement agency that negotiates with creditors on behalf of its clients for better terms and payment options. By putting the customer first and adhering to high ethical standards, Donaldson Williams gives its clients a chance at a fresh start through negotiated debt relief. As a business owner, Jerry frequently used credit cards to stay current on his expenses and buy the supplies and inventory he needed to operate. But when his business started slowing during a downturn in the economy, revenue fell and he ended up $229,000 in debt. Not only could he not keep up with the high monthly payments, but his wife’s health problems meant that medical expenses were a higher priority. Jerry could have looked into consumer credit counseling to reduce his monthly payments, but the amount the card companies would accept would not have been enough to get him out of the hole in which he found himself. And bankruptcy was the last thing he wanted to be mired in. He also wanted to insulate his wife from his financial situation, so he decided to try a negotiated debt settlement with his creditors, hoping for a reasonable payment amount that wouldn’t completely upend his life. That’s when Jerry found Donaldson Williams, a family-owned and operated debt settlement company that takes pride in its customer-first approach to helping clients reduce debt and pay off creditors. Jerry managed to settle his $229,000 debt for $106,000 — and paid it off in only 18 months — a total of $123,000 in relief. Each year, millions of small business owners and consumers in the U.S. find themselves overwhelmed by debt and unable to meet their financial obligations. For many, bankruptcy is simply not an option, and negotiating directly with their creditors rarely results in much savings. Marie Megge is the Founder and President of Donaldson Williams, and she has seen the real impact of financial hardships, which is why her company aims to satisfy each client’s unique needs. Whether it’s an unforeseen medical emergency, a messy and expensive divorce, mounting business expenses, or unemployment, bad circumstances often befall good people. And when they do, Donaldson Williams can help find financial solutions to those crushing amounts of debt. Debt reduction services usually charge a fee that’s based on a client’s overall debt. They also typically set up an escrow account in which a client deposits funds that the company disburses to the creditors. But Donaldson Williams takes a different approach. Instead, Donaldson Williams bases its fees on what a client saves. 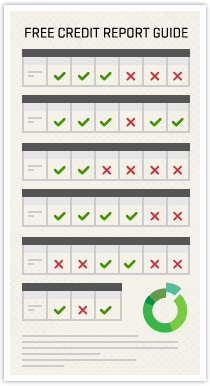 In taking this approach, client fees tend to be about half of what other companies charge, according to Megge. 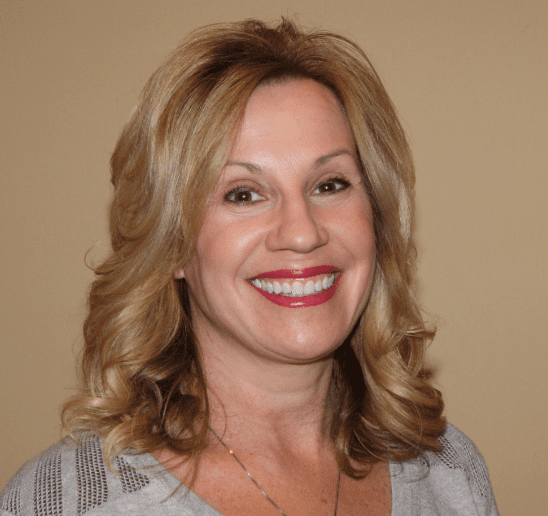 The customer-first philosophy is rooted in Marie Megge’s prior work in the industry with another Midwest debt settlement firm. Donaldson Williams’ focus on fairness and ethics is reflected in the company’s stellar reputation among its clients. 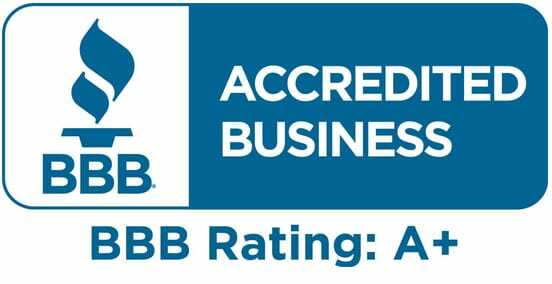 With a Better Business Bureau rating of A+, zero customer complaints, and dozens of positive reviews, the company is certainly a bright spot in the debt settlement industry. For consumers who find themselves in the midst of overwhelming and unmanageable debt obligations, it’s fair to ask what to expect from debt settlement, and how the process works. Debt settlement, also called debt relief or debt reduction, involves negotiating with creditors to reduce the amount owed on unsecured debt. 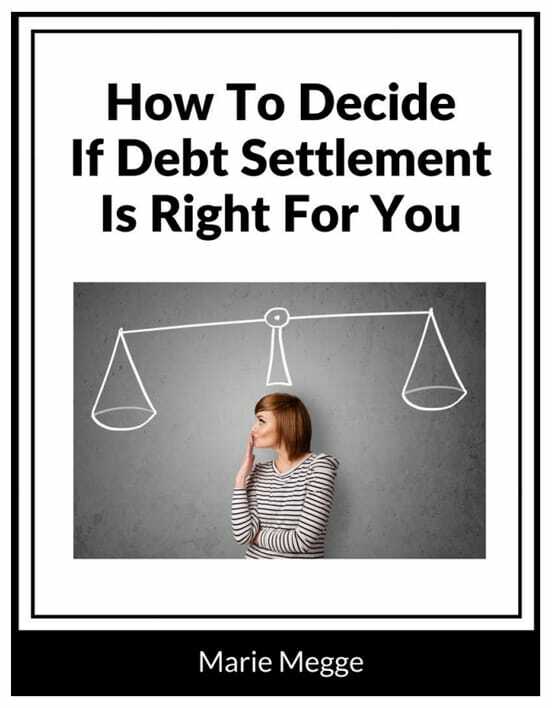 Marie Megge wrote a guide to help people decide whether debt settlement will work for their situation. This process of setting aside money each month is at the heart of debt settlement. Instead of continuing to pay creditors and getting further behind, the agency establishes how much a client can afford to put aside, and that determines how long it will take and, eventually, how much will go toward settling the debt. The process does have an impact on a consumer’s credit score because of the initial stoppage of payments on their debts. However, Megge said that once the accounts are settled and show a zero balance, credit scores often rise quickly. “Usually it works out quite nicely, overall, because within about 12 months of their accounts reflecting a zero balance with their creditors, their score is usually back up,” she said. One final consideration Megge points out is the potential for tax liability in some cases. This can happen when the IRS recognizes the amount of debt relief or forgiven debt as income. However, most of the company’s clients don’t face this burden because they can prove insolvency and avoid any liability. Financial problems can strike anyone, regardless of how well-prepared they are — just like Jerry, who is now enjoying his retirement. Whether it’s a medical emergency, job loss, business failure, divorce, or unexpected financial challenge — sometimes debt obligations can no longer be met. In those situations, having a partner like Donaldson Williams can allow them to regain control over their finances. Marie Megge founded Donaldson Williams to provide consumers and small businesses with an easier way to settle their debts. Debt relief is a way to satisfy creditors while maintaining control of your finances. Most unsecured debts — such as credit cards and medical bills — can be settled for a percentage of what is owed. The key is knowing how to navigate the often confusing landscape of legal debt relief. Donaldson Williams understands how creditors and debt collectors function, and how to negotiate the best outcome for its clients. Many of the settlements negotiated on behalf of Donaldson Williams clients result in debt reductions of 50%, 60%, and up to 80% or more, depending on the client’s financial situation. Megge said she often recommends that clients take an alternate route if one better suits their situation. But for those who stand to benefit from debt settlement, Donaldson Williams can offer a fresh start and a new lease on their financial lives.